Special Needs - Enlightened Solutions Ltd. - Paleo Nutrition - Designed By Nature. Sometimes simply removing the best known culprits from our diets is not enough to repair the damage done to us from years of poor nutrition. We may have to further restrict certain foods from our diets to allow our bodies to heal. Please share! This recipe just has it all. It is nightshade free**, paleo, primal, vegan, gluten-free... suitable for all. 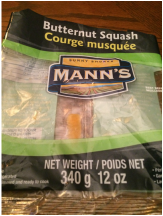 Don't feel like the hassle of cooking a squash?? Did you know you can buy it bagged and cubed?? Yup!! Look for it in the fresh produce section. Steam the squash until tender (7-10 minutes) or cook in microwave. Let the squash cool. Mix with red bell peppers, scallions and toss with olive oil and lime juice. This is a perfect summertime dish, or a great thing to take if you are invited to a party and are wanting to bring a dish that you can eat without "weirding out" your friends. They will love it too! !